Before we had calculators we had slide rules. The circular (1632) and rectangular (1620) slide rules were invented by an Episcopalian minister and mathematician William Oughtred. A calculating tool, the invention of the slide rule was made possible by John Napier's invention of logarithms, and Edmund Gunter's invention of logarithmic scales, which slide rules are based upon. Logarithms made it possible to perform multiplications and divisions by addition and subtraction, according to The Museum of HP Calculators. Mathematicians had to look up two logs, add them together and then look for the number whose log was the sum. Edmund Gunter reduced the labor by drawing a number line in which the positions of numbers were proportional to their logs. William Oughtred simplified things further with the slide rule by taking the two Gunter's lines and sliding them relative to each other thus eliminating the dividers. William Oughtred made the first slide rule by inscribing logarithms on wood or ivory. 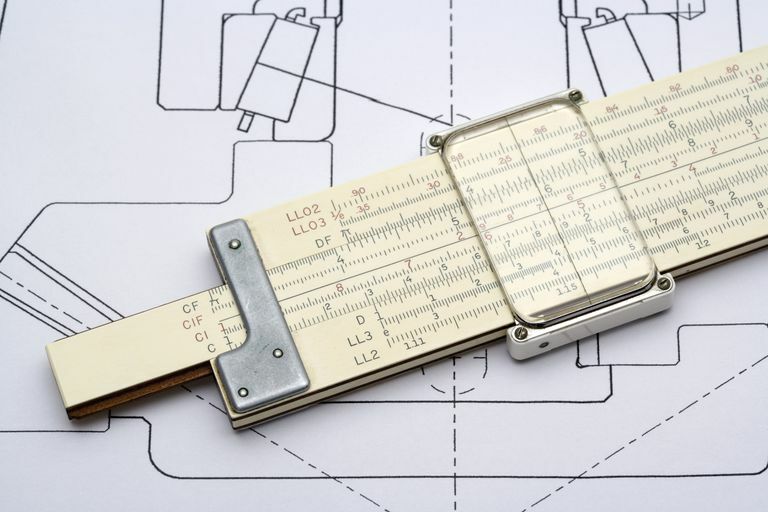 Before the invention of the pocket or handheld calculator, the slide rule was a popular tool for calculations. The use of slide rules continued until about 1974, after which electronic calculators became more popular. Several inventors improved upon William Oughtred's slide rule. 1677 - Henry Coggeshall invented a 2-foot folding slide rule for lumber measure, called the Coggeshall slide rule. 1815 - Peter Mark Roget invented the log slide rule, which included a scale displaying the logarithm of the logarithm. 1859 - French artillery lieutenant Amédée Mannheim invented an improved slide rule. 1891 - Edwin Thacher introduced a cylindrical slide rule in the United States. The duplex rule was invented by William Cox in 1891.